Obituary for Ruth H. (Kamerzel) Geisick | Harman Funeral Homes & Crematory Inc.
Ruth H. "Doll" Geisick, 94, of Conyngham, passed away Tuesday morning at Lehigh Valley Hospital-Hazleton following a brief illness. Born in Mountain Grove, March 27, 1924, she was the daughter of the late William and Tura (Bond) Kamerzel and spent the past 13 years in Conyngham after moving from West Hazleton. Doll was a 1942 graduate of West Hazleton High School. She was a retired seamstress and machine operator who had worked in several local garment factories. She enjoyed bingo, solitaire, and word find books, as well as trips to local casinos. She was preceded in death, in addition to her parents, by her husband Edward who passed away in May, 1976; brothers Frederick "Fritz"; Charles "Chip"; Donald "Jack"; and Lester "Tom" Kamerzel; and sisters Dorothy "Nook" O'Neill; and Mary "Polly" Burger. Surviving are her daughter Barbara Geisick, Conyngham; a sister Ann "Becky" Bruno, Sugarloaf; and many loving nieces and nephews. Her funeral will be held Saturday at 10:30 am from Harman Funeral Homes & Crematory Inc. (East) 669 W. Butler Drive, Drums. Friends may call Friday evening 7-9 pm at the funeral home. Interment will take place privately in Calvary Cemetery, Drums. Memorial contributions to the American Kidney Fund, 11921 Rockville Pike, Suite 300, Rockville, MD 20852, or online at www.kidneyfund.org would be appreciated by the family. 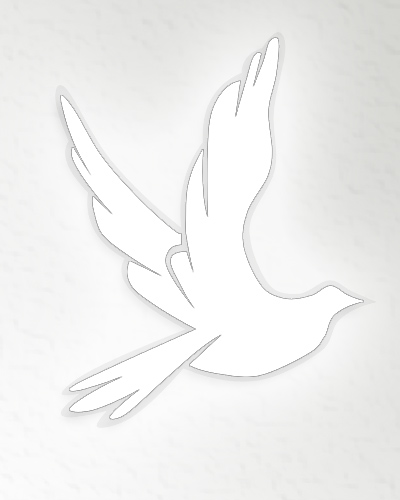 Online condolences can be entered and more information is available at www.harmanfuneral.com.